Stay on top of your income and expenses with monthly goal setting and checkups. t It is important to set goals for your wallet, check up on them and change them throughout the year. Each month, we will check up on these goals and add more goals for you to achieve. Did you start your 401K contribution at five percent? Increase it another point this month! Did you start an emergency fund? Do you have a realistic idea of the amount you need in an emergency? What little things can you cut down on to add money here? Did you enlist your family and friends as your support system? Is everyone on your side in helping you to save money? 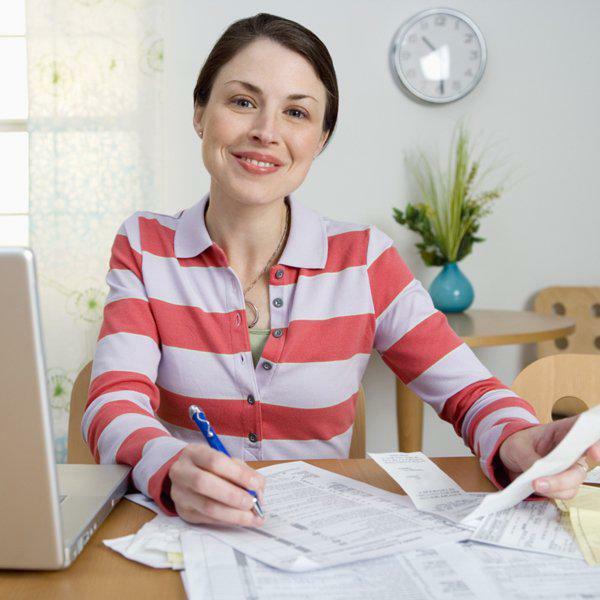 t Start gathering your W-2 (which should have come out at the end of January), donation receipts, stock interest statements, bank account interest statements, student loan interest statements, and anything related to your home that might be deductible. Make tax time easier for you or your accountant by putting everything in one place and starting early. t I started an Excel document in 2003 when I moved to New York City. I really just wanted to see when I would break even (it took three years). After spending years writing down every penny that came in and went out, I became used to the idea of tracking my money. I am still using the same spreadsheet today. The simple act of writing down (or, for the more tech savvy, entering it in an app) you start rethinking your purchases. If you buy it, it has to go in the books. This is much like a food diary philosophy, writing down what you eat in order to eat less. Writing down purchases will help you spend less. My spreadsheet also helps me reconcile credit card bills, balance my checkbook, and track what I spend in certain categories. t Over the years, I have found a number of errors on my credit card and bank statements (three in the last six months totaling $400!). Each error was easily resolved with a phone call. Make sure you are not paying more than you purchased by looking over your statements each month. I go a step further and reconcile against my spreadsheet of purchases. However, you can start small with this step. Check over late charges, extra bills and double bills just to make sure everything is correct. t Complete these and check in next month!